When spring comes, with bright colours and mild temperatures, you do not know where to go to relax and enjoy this mild climate at Easter? 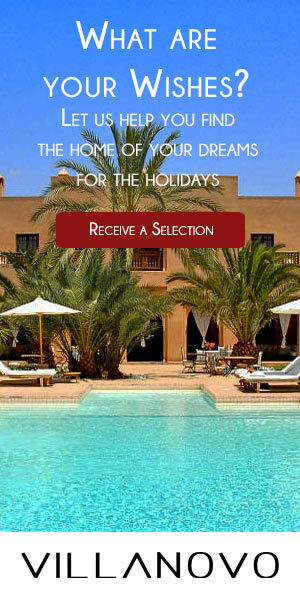 We have selected 3 ideal destinations for you! 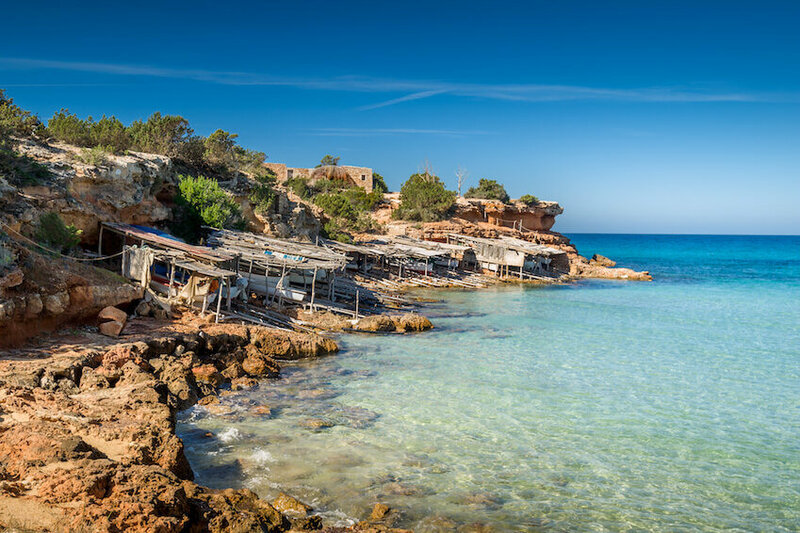 With 300 days of sunshine a year, the Balearic Islands are the perfect destination to enjoy the mild Easter weather and enjoy the calm before the summer. The largest island of the Balearic Islands, Mallorca, is full of heavenly beaches of white sand and pebbles lined with pine trees. The beach of Coll Baix, that of Es Trenc or even Muro, all these places offer crystalline waters with a hint of azure where fauna and flora develop in harmony with the places. In these sumptuous settings, a wide range of activities will be within your reach. Diving, snorkelling, windsurfing or even sea kayaking, there is something for everyone. For those looking for a getaway in the heart of nature, hiking is for you! Through the Peninsula de Llevant Nature Park and its pine valley, from the cape of Formentor leading to creeks or even by the road of Pedra in the North consisting of old mule tracks, you will be able to conquer the edges and dizzying peaks of the highest cliffs overlooking the sea. 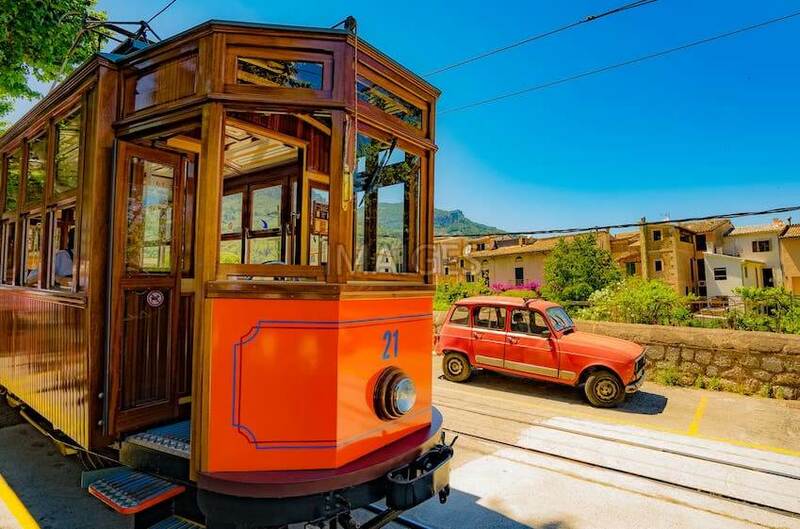 Along this blue expanse, take the series of turns of the scenic route Sa Calobra down to the charming Port of Valldemossa or stealthily pass through the villages nestled at the top of hills and green valleys. When it’s time for a break, it will be almost impossible to resist the seafood preparations from the day's catch or the famous shrimp Port de Soller. After this gastronomic getaway, stroll through the heart of stone houses in the charming streets of the village of Deia which will transport you directly to Italy with its Tuscan airs. Moreover, it is in this very small corner that many artists such as the poet Robert Graves have put their suitcases, near the Cala de Deia, one of the most beautiful beaches of the West. The queen of the Balearic Islands has been, for a long time, the favourite land of artists such as Joan Miro or Miquel Barcelo. In the image of this country where art is amply represented, in the South of the island, with its famous bay and its sunsets, stands the capital Palma with its cobbled streets, Gothic churches and baroque palaces. Not far from here, the city's cathedral has superb stained glass windows inside, some of which have been designed by Antoni Gaudi and extraordinary creations that reflect on the sea. Famous for their nightlife, the Pityusic Islands are the flagship destination for jet-setters from around the world, meeting up with world-famous nightclubs and the most beautiful beaches. One of them, Pou des Lleo is one of the wildest and solitary of the surroundings where an amazing blue gradient is emerging on the water facing the quirky rocks that dot the coastline. However, in the Eastern part of Ibiza, it is possible to find a traditional culture with pretty villages, paradisiac beaches and a succulent sea gastronomy. Natural reserves including those of Es Vedrà and Es Vedranell which have particular airs of uninhabited areas and are among the most beautiful sites of the Southwest. They are surrounded by wonderful secret coves such as Xuclà, where diving enthusiasts will find their happiness in the richness of the underwater depths with an impressive variety of wildlife. In search of tranquillity, inland, recharge yourself at the top of the Torre d'Es Savinar, the Pirate Tower, the highest tower on the island of the seventeenth century from which you can admire a magnificent sunset. Listed as a UNESCO World Heritage Site, Dalt Vila, the Renaissance Fortresses are also a must visit! 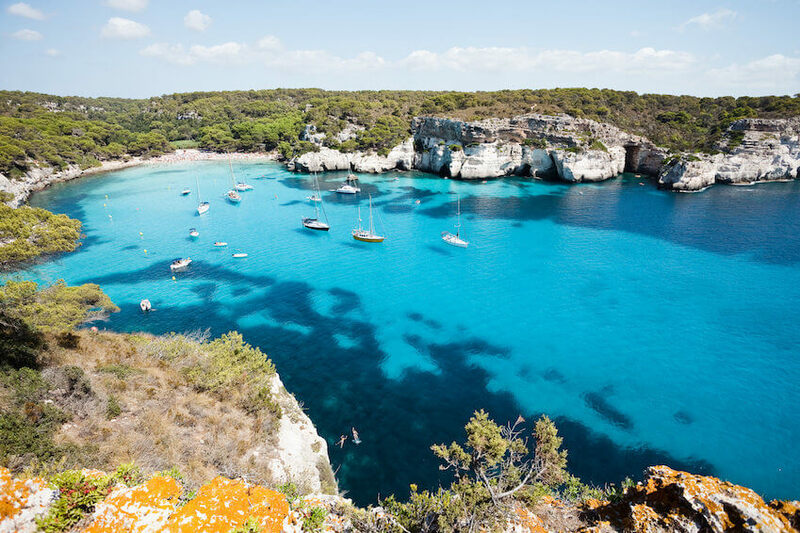 Lush green hills and almost deserted sandbanks that face the rocky coastline perfectly describes the landscape in Menorca, the Mediterranean archipelago. This region has some of the most beautiful beaches in Europe, including Cala Macarella, a horseshoe-shaped area in the South-West. Other small spots are also known as Cala Turqueta or Cala Son Saura, coves with turquoise blue waters surrounded by maritime pines and maquis vegetation. Very few tourists, Menorca is still very wild and is full of absolutely beautiful archaeological sites and megalithic monuments in the heart of the island, the remains of several stones. To the North, the town of Ciutadella hides narrow streets where you can find pretty houses and local farmers markets near the small Mediterranean port. Marvellous island of Charente-Maritime, "Ré la blanche" offers authentic natural landscapes with changing colours as the seasons go by. Discovering traditional know-how and preserved sites, your stay during Easter promises you great finds. At the pace of life, sneakers on the feet, embark on bike trips on the 110km of bike paths in the region. 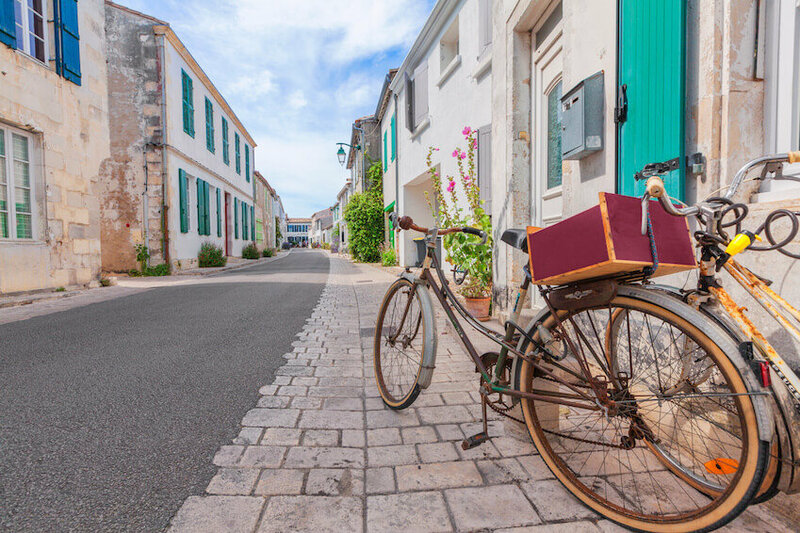 Indeed, as in most of the Atlantic Islands, cycling is the essential activity of your vacation! Along the salt marshes, in the wooded world of maritime pine forests or at the edge of the dunes of beaches, the sweet perfumes of the flora like fairy pink hollyhocks are real delights for the senses. As you move forward, discover the scents of handmade earth-coloured soaps, Grasse perfumes, vegetable oils and donkey milk. And, at the turn of a beach, rest on the soft sand of Trousse-Chemise or Bois-Plage-en-Ré, facing the wild coasts. Between land and sea, in the local markets, you can discover the flavours of the soil and crafts. The Fleet offers a friendly and authentic atmosphere for the pleasure of palates and eyes. It is customary to sample 100% natural exceptions from La Brasserie Bières where traditional methods continue to perpetuate and then enjoy a good local seafood platter. Among local producers, craftsmen and souvenir merchants, let yourself be tempted by the fragrant fruits and vegetables, oysters and tasty seafood and cheeses of the country. Representations of traditional know-how and ancestral traditions, salt harvests, oyster farming, vine cultivation and market gardening have shaped landscapes of unique beauty over the years. Meet oyster farmers, salt workers, winemakers or craftsmen, in the heart of a flora and fauna, you will discover marvels of simple purity. The natural and historical heritage of the surroundings remains, for the travellers, a unique fresco. Territory where nature and tradition coexist in harmony, the Ile de Ré is full of delightful scenery such as the national nature reserve of Lilleau des Niges in the heart of a migratory axis, making this place a paradise for birds and butterflies. The panorama also counts in its wealth of mills, lighthouses and military buildings in the heart of the villages where the fortifications of Saint-Martin-de-Ré, classified with the world heritage of UNESCO stand. Easter in Corsica...your stay where traditions, heavenly scenery and sensational activities merge to ensure you have a memorable getaway. 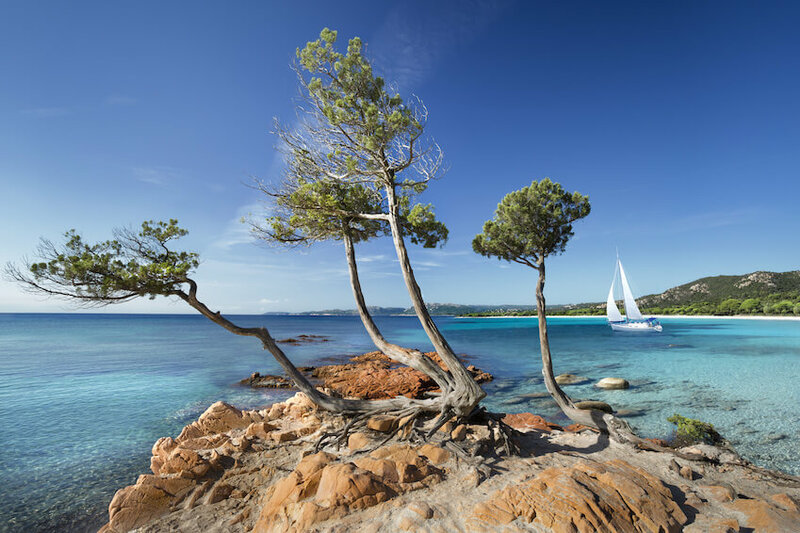 In Porto-Vecchio beautiful beaches await you, Rondinara and Palombaggia, on the edge of white sand and turquoise waters facing the nature reserve of the Cervicale Islands. Off the beaten track, the rivers also offer natural pools and canyons perfect for swimming, not far from the pools are small ponds that are characteristic of Corsican peat bog landscapes. At this time of the year, this French land begins all kinds of essential traditions such as that of crucettes, palms woven from fresh yellow palm leaves to create a lucky charm to hang in the house as a symbol of purity. A variety of religious festivities are also celebrated around tasty dishes: chickpeas, lamb, caccavelli (a wreath of sweet bread flavoured with anise), sciacca (small brocciu-filled slippers) or even the panettes (small scented buns) with lemon or orange blossom. "The island on the island", this landscape of Cap Corse crossed by a rocky ridge and valleys, is the typical decor of the North. Perched on the mountains of Balagne, we find a living homage to traditional Corsican culture with a group of potters, sculptors, painters, luthiers and musicians in the village of Pigna. It is located near Patrimonio, known for its winemakers, with delicious muscats, whites of character and surprising rosés. Further West, Ajaccio has a laid-back atmosphere and is home to the Fesch Museum in its heart with more than 16,000 works, including some by Botticelli and Titian, an exquisite journey full of poetry. While descending in the lands, you can not miss the archaeological sites of Filitosa and Levie at the edge of one of the most beautiful mountainous Corsican sites, the needles of Bavella, massif of Alta Rocca. Filled with hiking trails and rivers for canyoning, this is one of the most beautiful natural remains. After a tour of horizons, back on the Southern coast, Bonifacio, the city nestled at the top of the cliffs is home to creeks, coves and beaches with a magical setting that we must not escape. In the heart of the Mediterranean, the Corsican backdrop offers a wide choice of activities to share with family or friends. Hiking or horseback riding are ideal to immerse yourself in the Corsican nature. Want to cool off? During a canyoning session, you will sink into the canyons of Vacca, Purcaraccia or even Baracci while the more adventurous of you will climb the inevitable massif of Bavella. On the coasts, kitesurfing or windsurfing promise you beautiful sensations on the bays of Bonifacio. But you will not be able to escape an incredible dive in Lavezzi, the little paradise of clear rock protected between sky and sea.